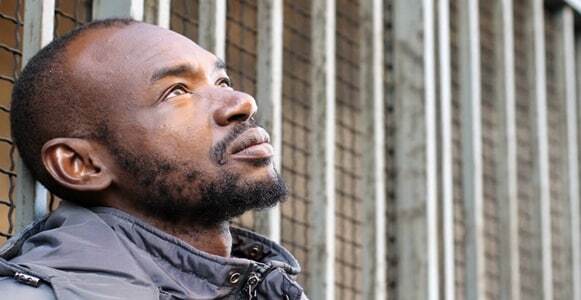 A Nigerian man has narrated how a lady his friend has been dating for 6 months, is a married woman of 2 years. 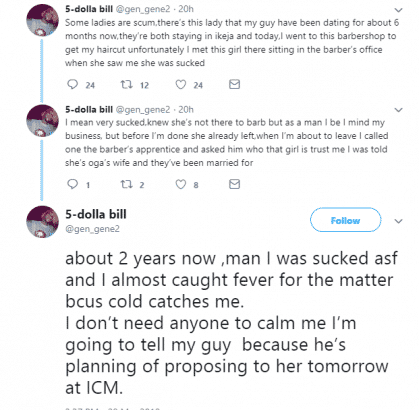 The Twitter user identified as gen_gene2 also revealed that his friend was planning to propose to the lady before he got to know about her marital status. I mean very sucked,knew she’s not there to barb but as a man I be I mind my business, but before I’m done she already left,when I’m about to leave I called one the barber’s apprentice and asked him who that girl is trust me I was told she’s oga’s wife and they’ve been married for about 2 years now ,man I was sucked asf and I almost caught fever for the matter bcus cold catches me. I don’t need anyone to calm me I’m going to tell my guy because he’s planning of proposing to her tomorrow at ICM.